When the greatest ship in the world, the RMS Titanic set sail from Southampton, England, on April 10, 1912, there were 2,228 people on board her heading to New York City. The people from all three classes, that lined her fancy decks, had no idea they were sailing into history. Four days into Titanic‘s maiden voyage, the ship was travelling through ice-filled waters, accidentally brushed against an iceberg, which caused catastrophic damage. Designer Thomas Andrews went to the bridge shortly after the collision with the iceberg, and his news was the worst that Captain EJ Smith could have possibly imagined, which was that his brand new ship was going to sink to the bottom of the North Atlantic. Captain Smith then had the task of taking over 2000 people and loading them into boats that only held over 1000. Smith knew that not everyone would survive this terrible disaster, and out of the 2228, only 705 would live to see New York City. One such lucky survivor was a native Wisconsinite named Jennie Hanson, and this was not the first time she had survive a terrible disaster. 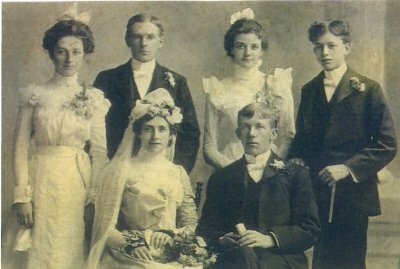 When Jennie Hanson was a young woman of 18 years old, her name was Jennie Howard back then, she worked as a pastry cook at the Blake Opera House and Hotel. The exact cause of the fire that destroyed the building is unknown to this day, but authorities suspected that the fire originated from the furnace. Hanson was very lucky to have survived the fire, and she was even knocked unconscious from the gas fumes that had filled the kitchen where she was located. However, Hansen regained consciousness just in time, and she managed to dive into the elevator and escape the flames. The ordeal that Hansen went through that night was very traumatic for her. 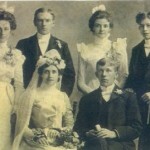 Even before Jennie Hanson, and her husband, Peter C Hanson were on the ship, Jennie was not at all happy with the idea of sailing on the RMS Titanic. The young wife was so terrified of the idea of the voyage, and she gave her brother, Thomas Howard, instructions on what to do if she should die on board the ship. 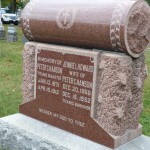 However, despite all her fear and premonitions, Jennie and Peter Hanson climbed onto the Titanic and left Southampton. On the night of April 14, 1912, the Hanson’s were sound asleep in their cabin when the collision of ice and steel woke them both up. The couple quickly went on deck, and Jennie Hanson was told to get into a lifeboat. However, the young woman would not leave her husband, and it was an officer that literally grabbed her, and threw her into the boat, which was number 11, known to be the most crowded lifeboat to leave the ship. Hanson claimed that a man was trying to hide in the lifeboat, but he was soon discovered, shot by Captain Smith, and his body was thrown into the sea. Hanson said that she not only witnessed the man being shot by Captain Smith, but the bullet came very close to her face. 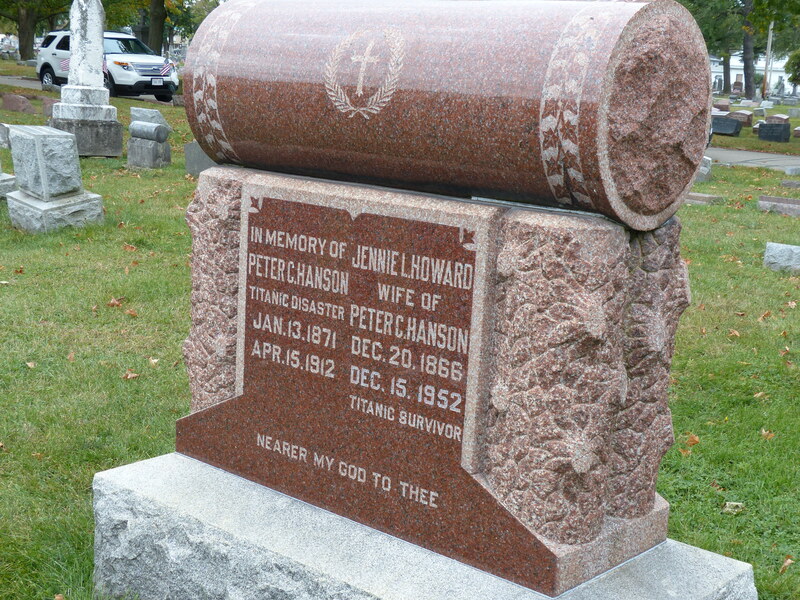 After arriving in New York City, Jennie Hanson was in the hospital for a few days to recover from her traumatic ordeal. Once released, Hanson then traveled by train, with a nurse that the White Star Line had hired, to Chicago, and then took a train to Wisconsin where she was met by her brother, Thomas Howard. For the rest of her life, Jennie Hanson told the world the story of her surviving the Titanic disaster. Hanson stayed in Racine, Wisconsin, for the rest of her life, and died at the age of 85. The RMS Titanic sailed from Southampton, England, on April 10, 1912. The world was excited to see such a beautiful, and supposedly safe ship, finally set sail. However, no one would have ever imagined that the ship would strike an iceberg, and sink with over 1500 people on board four days after sailing. There were only 705 survivors, and one of the lucky ones to have made it off the sinking ship, was a young woman from Wisconsin named Jennie Hanson. Hanson was not stranger to brushes with death, as a young woman of only 18, she was involved in a tragedy that happened in Racine, Wisconsin. Jennie Hanson, who was Jennie Howard at that time, worked as a pastry cook for the Blake Opera House and Hotel, and the massive structure caught on fire. The young woman was lucky enough to climb into an elevator, which helped her escape the devastating fire just in the nick of time. 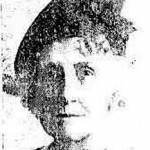 Jennie Hanson had premonitions about the Titanic sinking, and it turned out that she was correct. Hanson was aboard lifeboat number 11, and claimed she saw Captain Smith shoot a man that was hiding in the lifeboat. 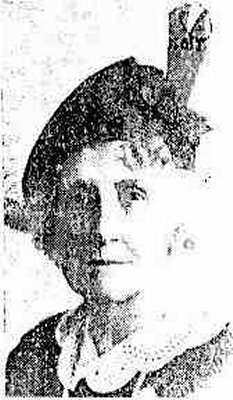 Once back in New York City, Hanson returned to Wisconsin as a widow, and lived until the ripe old age of 85 when she passed away in 1952.